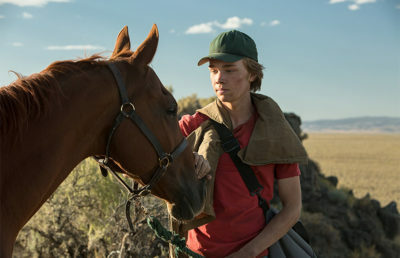 The boy-loves-horse genre carries a long legacy of banality, but “Lean on Pete” is, in many senses, a surprise. First, because English indie director Andrew Haigh’s most successful films (“Weekend,” “45 Years”) have been intimate British character studies. 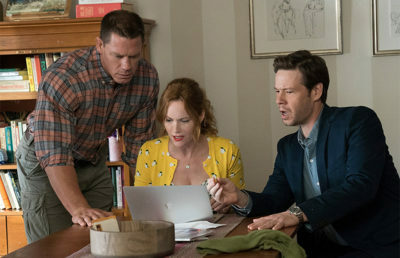 In contrast, “Lean on Pete” centers around four Oregonians, and it feels imbued with the knowledge of someone who deeply understands American sensibilities. Second, Haigh’s film provides a striking object lesson to consistently saccharine horse films, which usually promote mawkishness over reality. 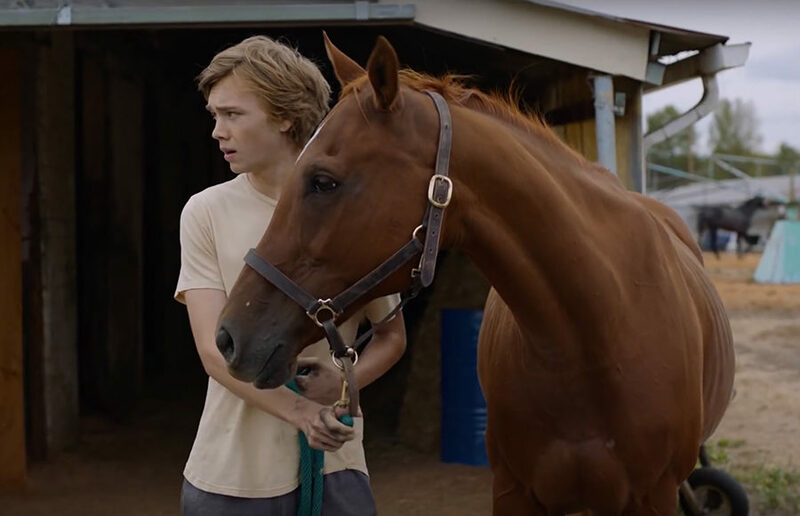 Haigh offers no close-up shots of the titular horse’s eyes, and there are no scenes in which he expresses love for the boy tasked with taking care of him, Charley (Charlie Plummer); it remains simply a horse — unpredictable and uninterpretable. Charley’s journey kicks off when he begins to work for a horse racer (Steve Buscemi) to avoid his uncomfortable family life. After learning that a horse he has grown to love, Pete, will be slaughtered, he steals it and drives throughout Oregon, encountering kind and unkind strangers, as well as the expansive beauty of nature. Haigh grounds the plot with his unflinching humanism, but Plummer’s performance stands out. Faced with the difficult task of playing a cliche (kid with family trouble finds solace in work/friend/animal/nature), Plummer demonstrates tremendous restraint. His face resembles a canvas of Buster Keaton-esque blankness, but his acting also relies on precise body positioning, demonstrating a keen physical sensitivity. His acting looks best when Haigh films him alone with Pete as they traverse the Pacific Northwest. Thankfully, Haigh portrays the horse with similar subtlety and nonsentimentality, a technique that reminds the viewer of the French “Au Hasard Balthazar,” directed by Robert Bresson, which follows a donkey that experiences immense exploitation. Like Bresson, Haigh does not stylize animal suffering with overwrought scoring or hammy dialogue, and yet, he’s far from a strict realist. A devout cinephile, he has clearly learned from Yasujirō Ozu, Bresson and perhaps early Jim Jarmusch that minimalist form can yield highly evocative and transcendental results. Haigh doesn’t compare to those three auteurs, but like his other films, “Lean on Pete” meanders with dreamy, poetic simplicity. 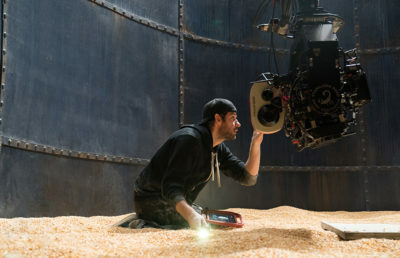 At least part of this can be attributed to composer James Edward Barker and sound editor Joakim Sundström, whose ambient, hazy soundscape graces the film with an overwhelming calmness and heightens the tension of the characters’ repressed emotions. Bresson’s film is much harsher than Haigh’s, but it’s also far superior. Despite Haigh’s stated affinity for nonsentimentality in film, he clearly relishes the opportunity to trigger audience tears. Why, for example, does he show one character being hit by a car when that event could just as easily be portrayed with sound? Haigh’s debased Bresson-isms carry the film forward well enough, but one begins to wonder whether the creativity of “Weekend” was mostly due to his personal relationship with the material. These gaps in originality are filled with references. A shot framed through a hallway is Ozu. A scene where Charley asks for strangers’ help is Gena Rowlands’ in “A Woman Under the Influence.” The narrative arc is borrowed extensively from François Truffaut. There’s nothing wrong with homage, but its excessive use forces one to wonder what the director’s aesthetic vision really is. This isn’t just Haigh’s problem, but the elephant in the room of American independent cinema. The indies of the 2010s seem content to remain slick, efficient empathy machines meant to entertain, but not innovate. Repeat viewings yield little to nothing. By the end of “Lean on Pete,” one might feel satisfied but still long for the grungy, low-low-budget days when indie directors such as Jarmusch and David Lynch made films with stylistic rigor and surreal inventiveness. Experimentation is happening in independent film, but it won’t be arriving at a multiplex near you as A24’s “art” films will. Still, there’s little to bicker about with a film like “Lean on Pete,” which makes for an engrossing and resonant experience. Bring tissues. “Lean on Pete” opens Friday at Embarcadero Center Cinema. Contact Jack Wareham at [email protected].